Seek the advice of your Physical Therapist if your child develops pain in her low back due to a heavy backpack. Try to keep the weight of your child’s backpack at a maximum of 15% of their body weight. Your child should use both shoulder straps at all times. Backpacks that have wheels are convenient, but many places won’t allow them because they can cause others to trip. Listen to your child’s complaint of low back pain and get them to a Physical Therapist who can educate them on proper exercises and ways to wear their backpack. Back to school can mean back to pain for many children. School halls are abuzz with young people talking, laughing and wearing backpacks stuffed full of heavy books, computers, iPads, and all sorts of school supplies. After a few weeks of carrying heavy backpacks for several hours day, many youth begin to experience “backpack pain.” School age patients who complain of back pain that begins shortly after they start back to school are often suffering from backpack pain. Many of their symptoms can be eliminated when the size and weight of their backpack is adjusted to “fit” their body. The human spine is designed to support our body weight as well as the additional weight of objects that we carry from one place to another. There are three curves in the spine and from the side it looks like a series of “C” curves. The curves place the different parts of vertebra together so they can handle the different amounts of compressive and sheer forces that occur during everyday motions. If these curves are compromised for any reason, pain can occur. If they are compromised for a long period of time or due to an excessive amount of force, damage can occur to the soft tissues that hold the joints together. The excessive weight of many backpacks can cause damage to the soft tissues of the spine. During the course of the school day, many children end up carrying most of their books with them all day long since they don’t have time to return to their lockers and switch out books. At the same time, they often end up carrying the backpack on one shoulder or hang it below the belt. The weight and improper form can cause children to develop poor posture. The weight forces the spine into abnormal positions and the three curves are compromised. Over a prolonged period of time, this can cause pain and damage. Too many children carry back packs that are extremely heavy and or too big. The weight of the pack can cause the child to lean forward, making them lose their balance and fall. When the backpack is worn below the belt or weighs greater than 10 – 15% of their body weight they are more susceptible to developing low back pain. Parents can help to prevent low back pain in their children by assessing the backpack that their child is wearing to school. Make sure that the backpack is not too big. The bigger packs allow the child to put more materials in them, making the pack very heavy. There are many people promoting a weight that does not exceed 10 -15% of their body weight. Backpacks that have compartments are better suited for most children because they can be balanced. Your child should wear the backpack with both shoulder straps and keep the pack above their belt. Wide and padded straps are more comfortable. Observe how easily or difficult it is for your child to put on and take off the backpack. The pack should be easily lifted and hoisted over the shoulder and onto the back. Once on, your child should be able to stand erect with minimal effort. Speaking with the teacher might prove to be beneficial. They might be able to schedule regular trips to the child’s locker, which would enable to child to carry fewer books in their packs. Backpacks are used every day by millions of school age children. These packs can cause a child to experience low back pain if they are too big, heavy and worn incorrectly. 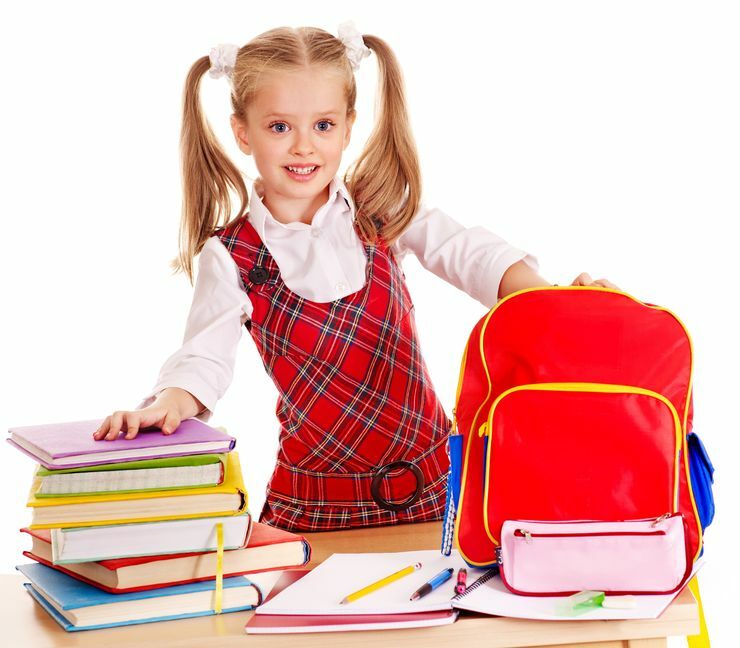 A simple adjustment of the back pack shoulder straps, a smaller back pack or more frequent trips to their locker might be the solution to eliminating the child’s low back pain.